Of all the mystical creatures, unicorns are the ones we want to believe exist. These beautiful creatures represent purity, innocence and are just realistic enough to be possible and keep the mystery and magic of life alive. 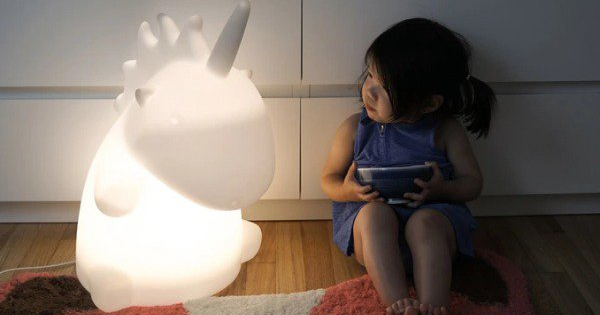 The Giant Unicorn Lamp comes to us from Smoko, the same company who have made it their mission to bring a bit of fun and madness into the mundane of day-to-day life. They have already made it big with their crazy USB heated slippers and handwarmers and now they are looking to make the magic continue. This unique lamp will be sure to bring a bit of happiness into your home. Not only does it enhance ambience in the dark, it even makes a great visual impact during the day with its modern clean-line design. ‘Giant Uni’ stands 51 cm tall and is in fact a multi-colour changing LED lamp that can be adjusted with a remote control. There are different modes including flash, strobe, fade, smooth and 16-colour solid mode to suit any type of atmosphere you are trying to create from bedtime stories to slumber party fun. There is also a Mini Uni Light available. At approximately 12 cm tall, the soft ambient light that glows from this happy creature makes it the perfect night time companion to help ward off bad dreams. This little guy is available already from Smoko and costs USD $15. 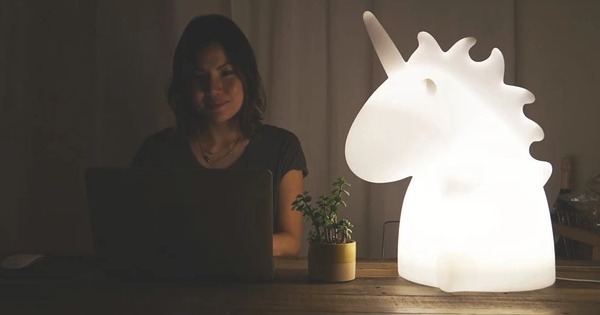 The Giant Unicorn Lamp is part of a Kickstarter campaign and with 300 per cent of their goal raised and two weeks left to go, you can be sure these will be available online and in stores in the near future. Why wait until then though? You can get access to some awesome introductory prices and package deals by pledging your support through Kickstarter. 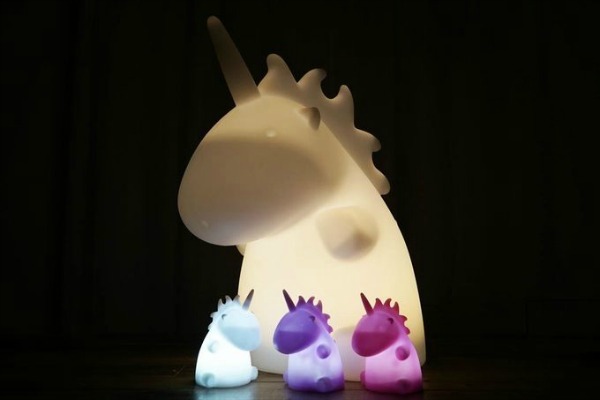 For USD $85 you can get a Giant Unicorn Lamp (USD $125 value) and by pledging $40 you can get three Mini Unicorns ($45 value) have a back up of great gifts on hand. Keep in mind that shipping to Australia is likely to be expensive for the giant lamp due to its size.